Sometimes it feels like you can paint anything in race bike colours and it'll be a gazillion miles faster, no? Naked bikes may not afford enough acreage for this kind of artistry but faired bikes do. And luckily for us, Indian customers routinely respond to customer surveys in favour of plastic-clad motorbikes. Yamaha hasn't yet gone and done the reverse full monty and offered us an FZ-based, full-faired motorcycle yet. But its Fazer has been a star on many counts. It looks great, the fairing quality is of a very high order and while the positioning as a tourer ignores the size of the engine, it's a good motorcycle. With the FI model, aka version two, the Fazer loses a few cubes and some power but also some weight and gains much crispness. It was against this motorcycle that Suzuki has placed its new Gixxer SF. In unintended irony, it's a supremely Indian motorcycle - a cosmetic sportsbike. Suzuki has barely changed anything from the naked Gixxer. The frame gets some added hardware to mount the fairing and there is a new handlebar mount cover and a new exhaust tip. Add in that superb MotoGP style paint and you have the gist of the SF (Sport Fairing). Like we noted at the SF first ride, the Suzuki looks tremendous. I'd love a wider head lamp that is more proportionate to the rest of the fairing from the front but that's it. 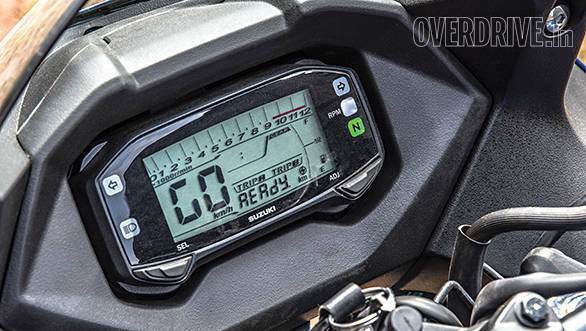 Finish levels and build quality are exemplary and Suzuki should be commended for managing to get all this done while adding just 5kg to the package. The Yamaha on the other hand wasn't ever a slouch in this department. The Fazer's always been the prettiest of the FZs by some margin and by and large, Yamaha also has exemplary build and finish, including here. The difference then is that the SF has a full fairing while the Fazer's is a half fairing more than anything else. The Gixxer SF adds 5kg and that plastic fairing to the bike but the net effect, visually at least, is stunning. The MotoGP colours? Wow! Take away some points for Yamaha's reluctant pace of updates and the Gixxer SF is ahead by a nose. In terms of eyeball snaggery though, the SF is a clear leader - the Fazer is familiar and more people turn to see the bright SF than the relatively demure Yamaha. Demure might be a good word to describe the Yamaha's engine come to think of it. 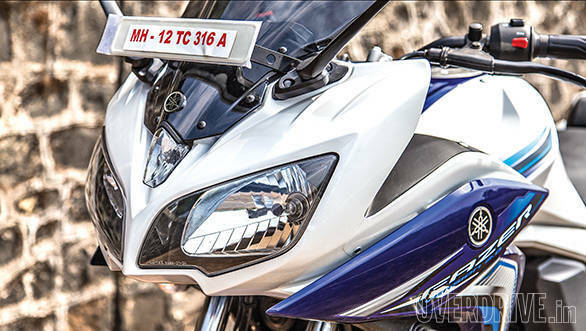 Yamaha scaled back displacement of the FZ series while adding Blue Core, its set of fuel saving, performance boosting tech. And of course, the Fazer FI is now fuel injected. The bike did drop in weight on the transition and Yamaha promised similar performance with greater economy. The Fazer delivers on that promise. Fuel economy is up a notch and performance is similar. The refinement of the engine is definitely up and fuel injection makes the bike crisper to ride. Most importantly, while the old Fazer (which remains on sale) seemed to lack power as you neared its redline, this one seems to have more performance left even there. The new engine feels like an upgraded version on the old one and it makes the Fazer a smidgen lovelier to ride. The problem really is that everyone else didn't play by Yamaha's rules. 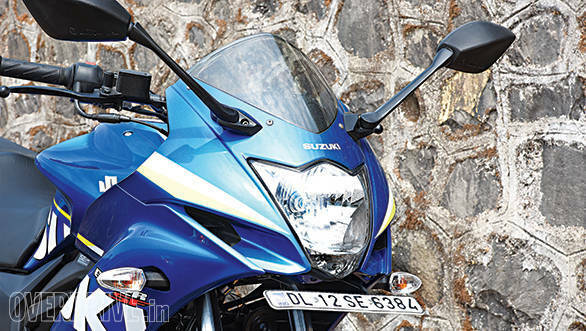 Suzuki has a small but vital displacement advantage with its 155cc engine. It does breathe though a carburettor and that might be a slight disadvantage in say, high altitudes or on cold mornings but fuel injection in daily use gives the Yamaha a relatively small advantage. The Gixxer SF presses home its advantage by producing more torque, more power and generally delivering more performance and thrills than the Yamaha. 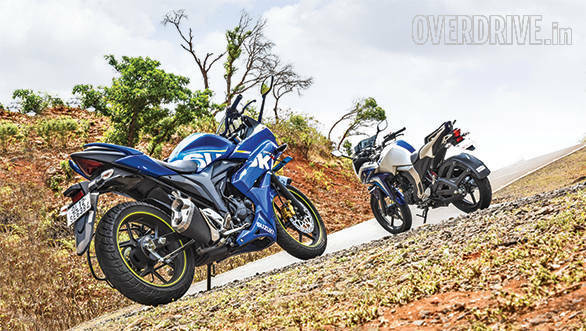 The Fazer almost feels a bit unenthusiastic compared to the exuberant Suzuki. Push hard and the SF even has a lively and smooth rasp to its exhaust note that denotes hard work without allowing any vibration into the picture. Suzuki of course also has SEP, its own suite of economy and performance boosting technologies. Despite the feel, the bikes are quite close. 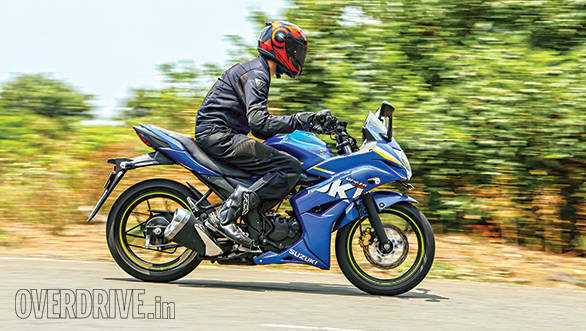 The Fazer FI takes 6.1 seconds to get to 60kmph while the Gixxer takes 5.98 seconds. A difference that might be life and death in MotoGP, but only good for bragging in the real world. Top speed? The SF will hit 114kmph while the Fazer managed 106kmph. The biggest difference, then, is in economy. The Fazer returned an overall economy of 63.42kmpl while the Gixxer returned a slightly lower 58.2kmpl. A similarly small difference exists between the two when it comes to cornering ability as well. The Yamaha has always been a brilliant machine in corners. The chassis seems almost a little too stiff for the engine and that leads to a confident, grippy riding feel. Yamaha started its design process with the 140-section rear tyre and that's allowed the chassis to overcome the usual slow steering and heavy feel over-tyred motorcycles can feel. 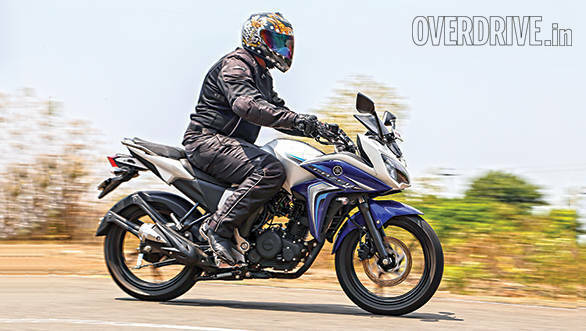 The new FZs also have slightly better cornering clearance that makes pushing through corners more fun. Unfortunately for the Fazer, once again, Suzuki has had the time to figure out how to beat the FZ. 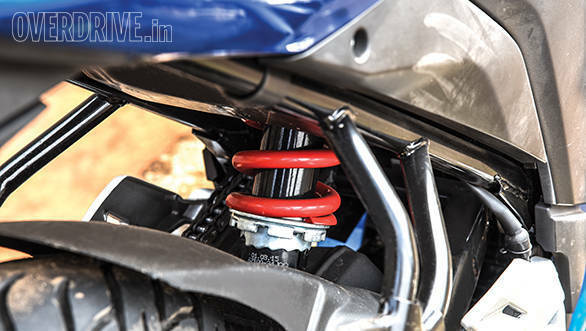 So Suzuki sprung for rear radial tyre like the FZ and tuned the chassis rather well. 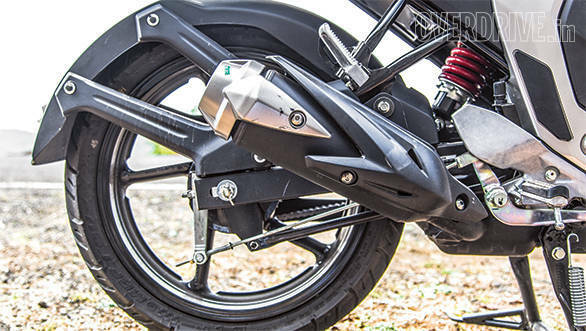 Just like its engine, the Gixxer chassis has a spring in its step and an enthusiasm that reminds you of a gambolling puppy. 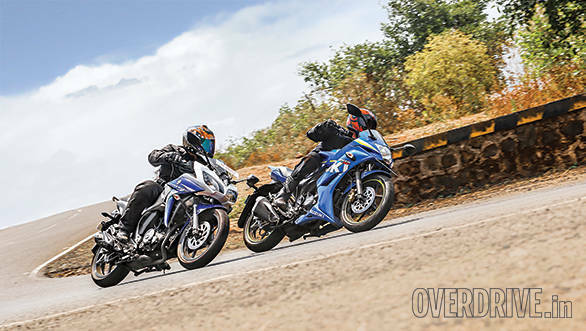 The Gixxer SF corners with a neutral, confident poise and riders of all ages and skill will find them smiling. Of course, this isn't unexpected because it inherits the Gixxer's traits. The fairing does change the nature very slightly but you'd have to be both highly skilled and paying lots of attention to feel that. The troubles for the Fazer continue in the ride quality department. The Fazer is sprung stiffer which aids that cornering feel. But over the bumps, the Yamaha blinks first. The Suzuki manages to sail over bad roads in relative peace while staving off any wallow even under hard cornering. It's a good trick and on an indifferently surfaced mountain road, the Fazer rider may not fall behind but the SF rider will be working less hard. It's a small difference but it's there. This is actually the story of both these motorcycles. Unlike the Hondas in the segment, they're both noticeably more sporty and that's lovely. It makes riding either a greater pleasure even though the Unicorn 160 is so close in actual performance. But in every department, the Suzuki has the measure of the Yamaha and then just a vital extra bit. Suzuki seals the deal by pricing the SF - MotoGP colours and all - Rs 2,100 under the Fazer FI (on-road Mumbai). I should add that the non-MotoGP paint job on the SF is another Rs 2,200 less but just look at the bike on the pics - I'd pay the difference. The SF is the clear winner here by a small but clear margin. 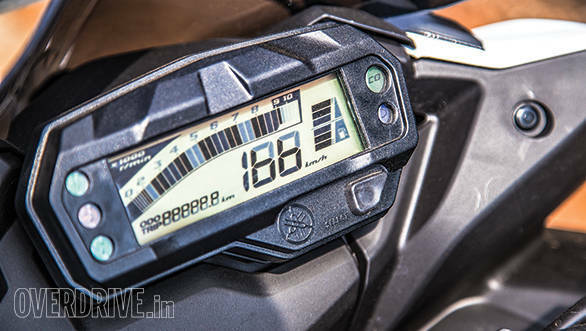 Trouble is the Bajaj Pulsar AS 150 has arrived and it's price is significantly less. We didn't have time to put the Fazer FI, SF and AS 150 through a full comparison but we did get to ride them back to back for an initial assessment - we just couldn't resist.